The book, Power of the Middle Ground: A Couple's Guide to Renewing Your Relationship is a self-help book that teaches couples how to settle differences, point out the positive, look at each person’s point of view, reduce anger, and refresh the relationship. So what is the Middle Ground? According to the author, it is a place where a person can share their emotions freely and feel very safe with their partner. There are numerous exercises in the book that help couples to identify the positives in their relationship and teach them to appreciate each other. The author explores each topic with a case scenario, and shares the feelings of the couple to help explain the topic. The book is easy to read and teaches us that communication is important in maintaining a relationship that is honest and fair. Take the Quiz- Do You Have a Middle Ground? 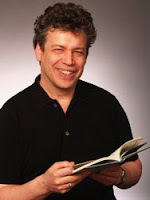 Marty Babits, LCSW, BCD (New York, NY), is a psychotherapist in private practice and a member of the Executive Supervisory Committee of FACTS (the Family and Couples Treatment Service) of the Institute for Contemporary Psychotherapy. Disclaimer: I received a free copy of the book from FSB Associates for my honest review. I was not compensated for the review.